deutsche Terroristin. 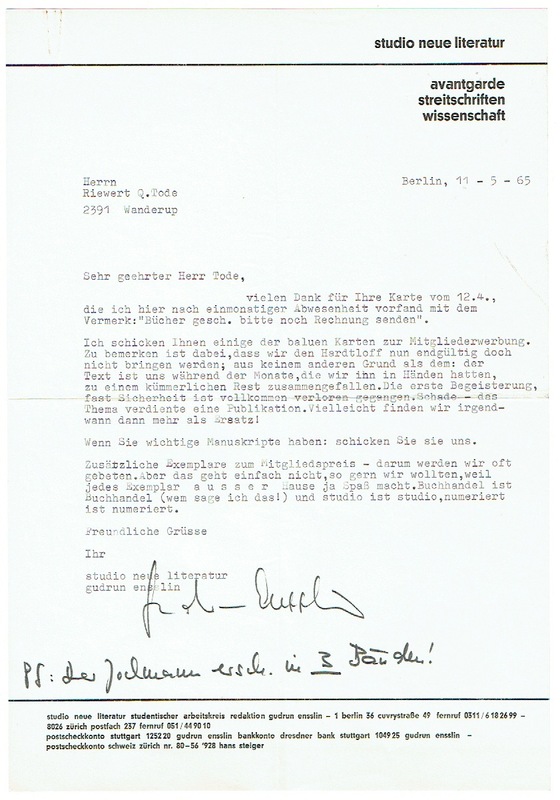 Sie war Mitbegründerin und als eines der führenden Mitglieder der Rote Armee Fraktion an fünf Bombenanschlägen mit vier Todesopfern beteiligt (1940-1977). 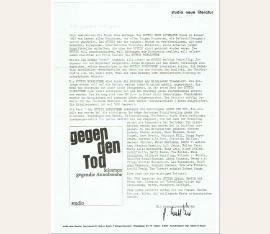 Collection of leaflets, announcements, bulletins, order blanks, membership form, and personal correspondence signed by Ensslin and Vesper, as well as the only two published works of the small publisher “studio neue literatur.” Stuttgart-Cannstatt and Berlin. 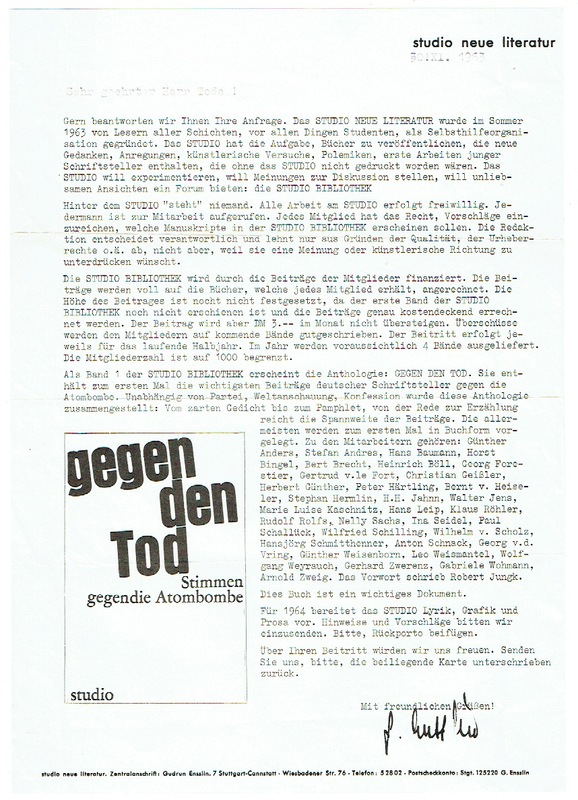 Unique collection of leaflets, announcements, news bulletins, order forms, and personal correspondence relating to the small alternative publishing venture “studio neue literatur” (“studio new literature”), founded by the future leader of the West German far-left terrorist group Red Army Faction (RAF, or Rote Armee Fraktion), together with her partner Bernward Vesper (1938-1971). 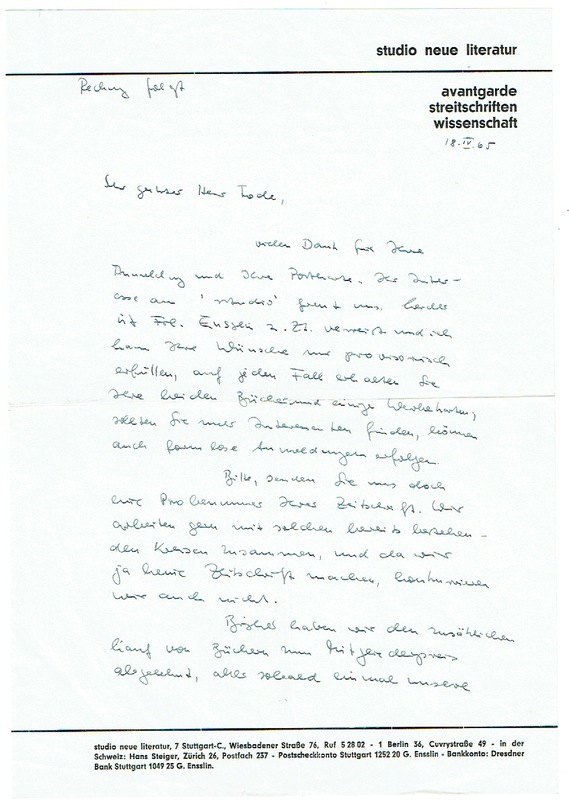 Included are two typewritten letters with Ensslin’s signature and a two-page handwritten letter by Vesper, as well as two books from Vesper’s private library with his owner inscription.